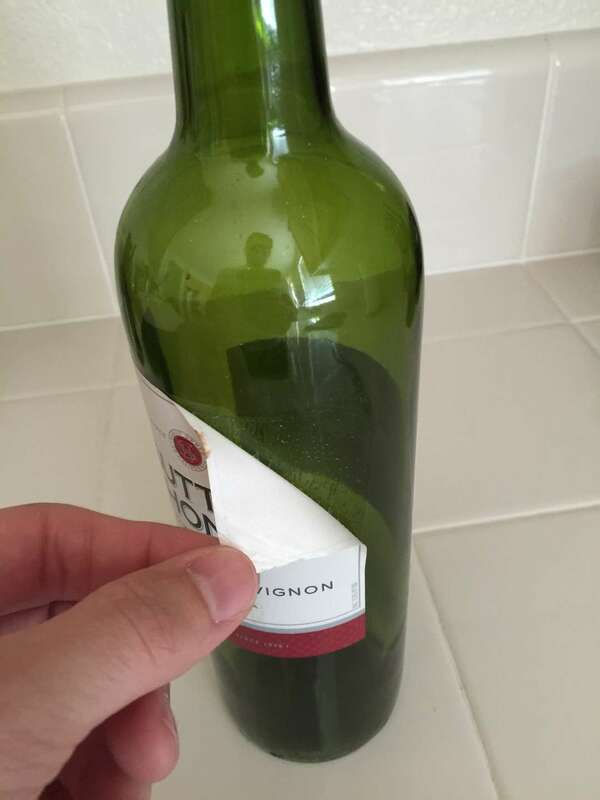 There are a few techniques for removing the label from a wine bottle. Some techniques are better depending on the adhesive used, but this technique seems to work well on many types. The best thing about this technique is that it can be used to remove labels in bulk quickly. 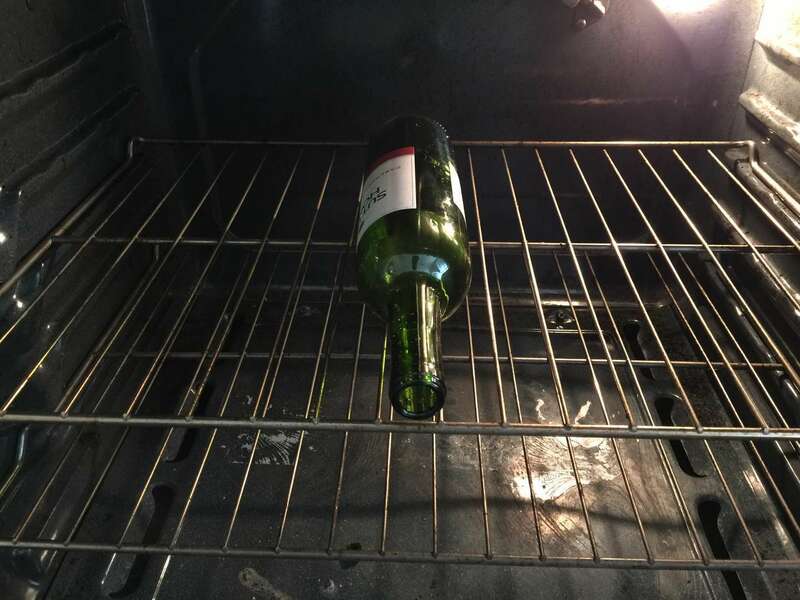 You should place the bottle on the glass while the oven is preheating. It's better to let the glass heat up slowly. After the oven reaches 350 degrees, wait 10 minutes. Using your oven mitt remove the bottle from the oven. The bottle will be extremely hot so make sure to only touch it with the oven mitt. 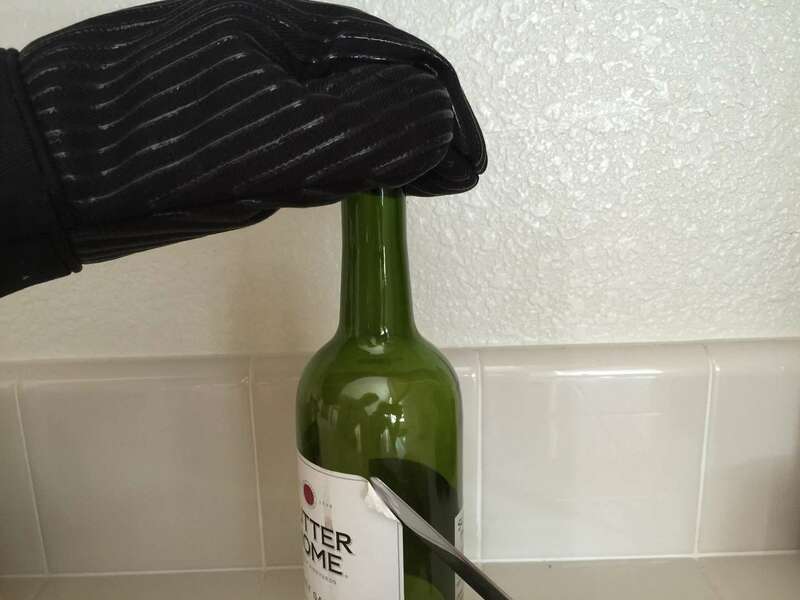 We've written another guide that uses another technique to remove the label and adhesive from the wine bottle. Check this guide out for tips on getting rid of the adhesive.